NOTE: Your template download will consist of 100% open source code that is fully customizable. 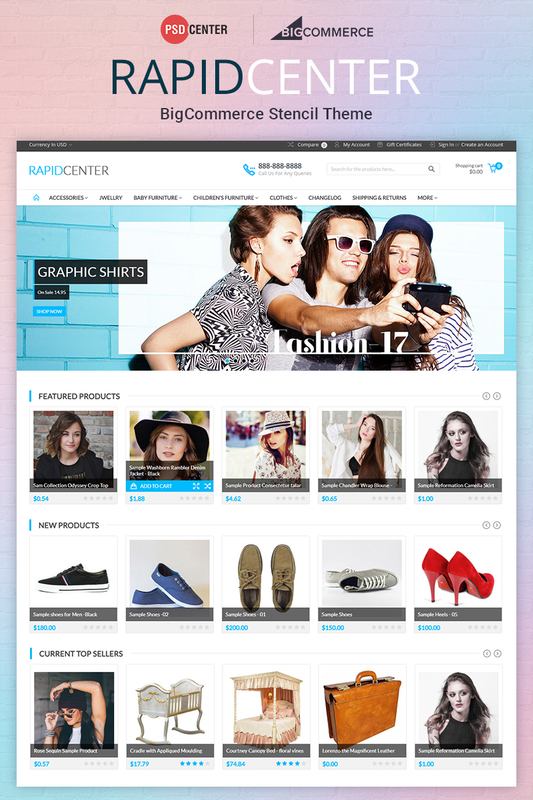 RapidCenter is Premium BigCommerce theme from PSDCenter, designed for fashion & clothing industry. But, it's flawless design has attracted many other niches. A responsive design best suited for every device. A full-width slider on the homepage. Dedicated sections for featured products, new products, and top sellers with scrolling. Refined product & category pages.